In agreement with Pavel Tretyakovʼs will, after his death in 1898, some of the books from his personal library became the property of the gallery, which had earlier been donated to the city of Moscow. There are several surviving documents that refer to this transfer. The most important is a 19-sheet “Inventory of Pavel Tretyakovʼs Library”, rounded off with a handwritten note confirming that “the books and art publications listed herein were delivered by Pavel Tretyakovʼs heir and included into the library of the Gallery of brothers Pavel and Sergei Tretyakov on November 1 1899”, signed by Ilya Ostroukhov and Yegor Khruslov1. 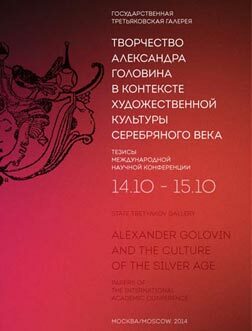 This date can be regarded as the founding date of the modern academic library of the Tretyakov Gallery. Over time Tretyakovʼs personal collection of books was complemented with a large number of publications acquired later. Today it is kept as a separate memorial fund2 – what sort of book collection had it been, and what part of it is deposited in the academic library?